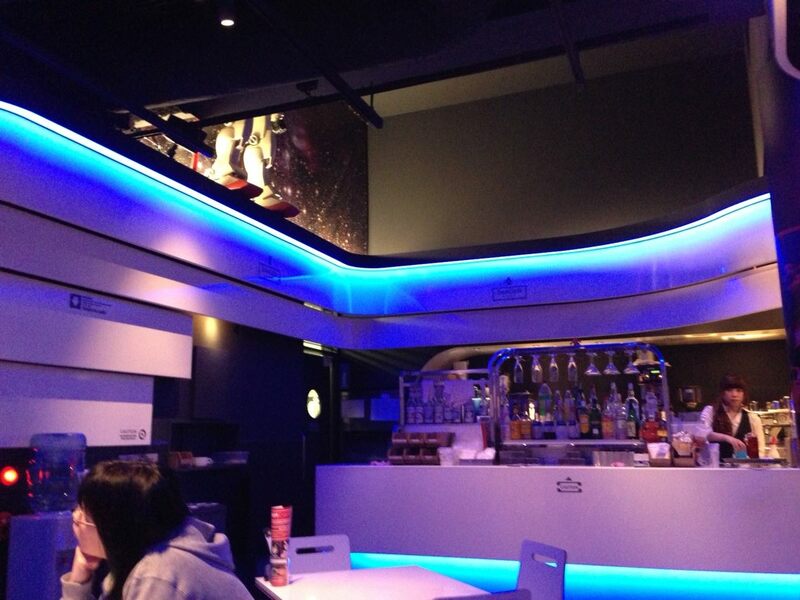 The Square Enix Cafe is a restaurant with rotating themes dedicated to the company’s video games. We paid a visit to see what it’s all about. 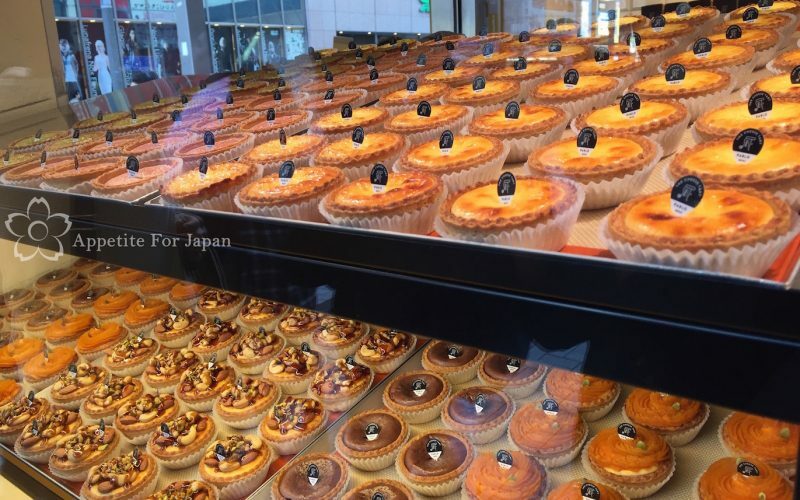 Pablo (パブロ) is a chain of cafes found around Japan, famous for its delicious cheese tarts. They also have a number of Pablo Mini outlets where you can buy mini cheese tarts on the go. We joined a respectably long queue to taste test the Pablo Mini cheese tarts in the Tokyo suburb of Akihabara. 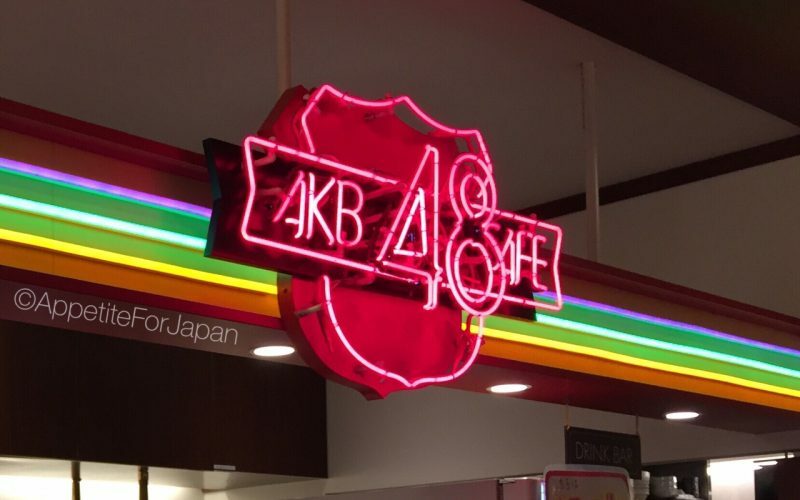 The AKB48 Cafe in Akihabara is a popular venue for fans of Japan’s famous J-Pop group. We recently stopped by to check it out. Eorzea Cafe is located in Akihabara, a suburb of Tokyo known for it’s electronics, anime and video game shops. Eorzea is a Final Fantasy XIV themed cafe – based on a place in the game – which opened in 2014. We first visited in 2014, and since then the menu has been updated. We recently paid Eorzea a second visit to check out the new menu which came out in 2015. Akihabara (秋葉原) – or Akiba for short – is a suburb of Tokyo filled with electronics, games, anime, adult items (or a combination of all of these) as well as plenty of maid cafes. If you’re into any of the above, you won’t want to miss a trip to Akihabara. 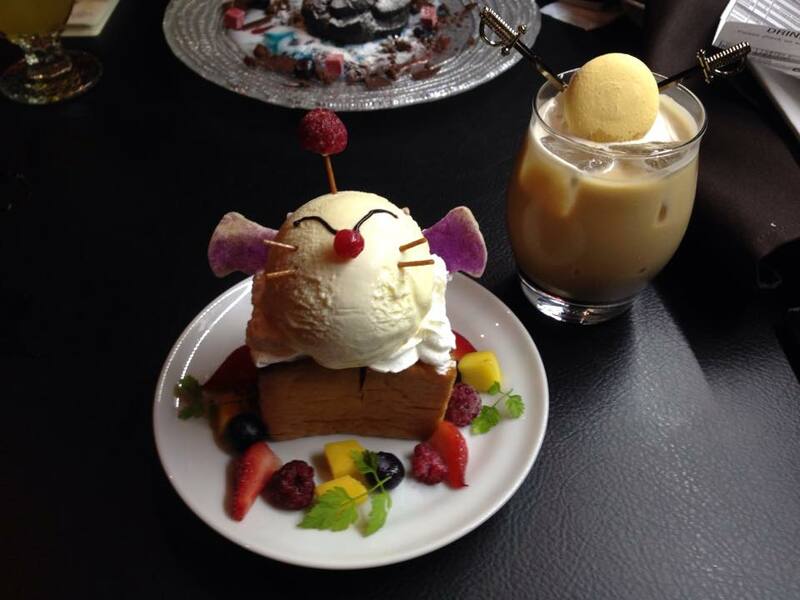 It’s also home to one of several Gundam themed cafes, a popular venue for fans of the Gundam anime series. 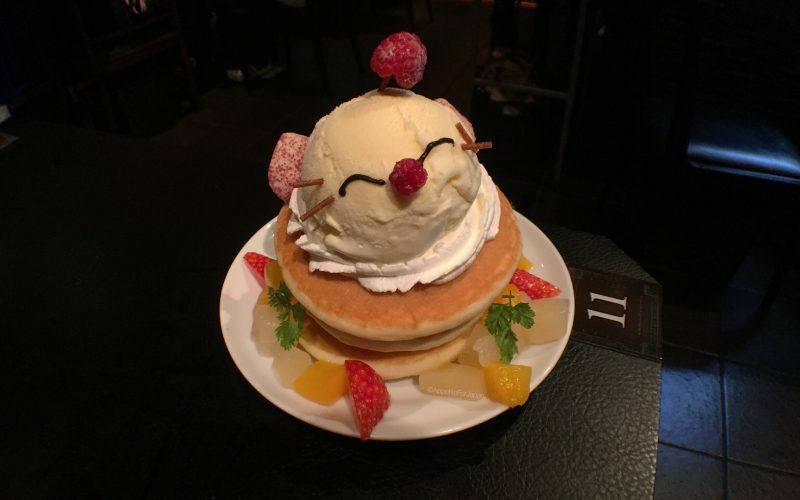 Eorzea is a Final Fantasy XIV themed cafe in Akihabara. 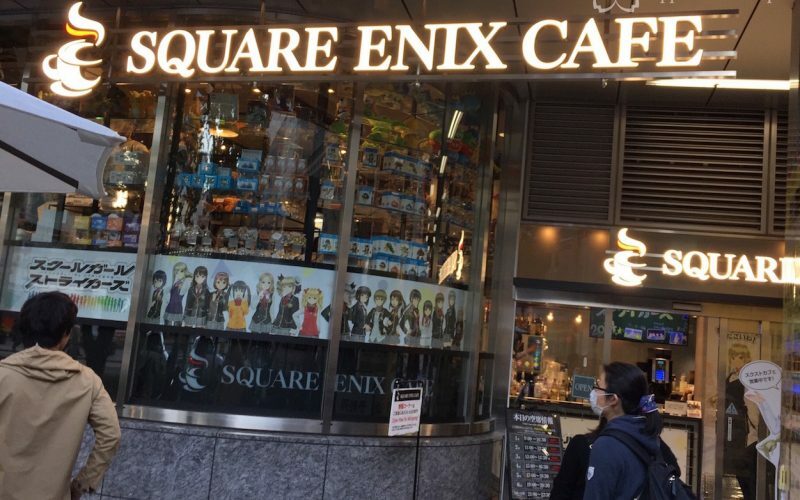 Japan takes themed bars, cafes and restaurants pretty seriously, and game company Square Enix is not new to the themed venue playing field. Boasting several themed eateries including the popular cafe and store, Artnia, Square Enix’s most recent cafe, Eorzea opened in July 2014. Eorzea is a collaboration between Square Enix and entertainment company Pasela which runs karaoke and restaurant chains. The cafe is modelled on the Carline Canopy, a building within the Final Fantasy XIV game, and has become a place of pilgrimage for serious Final Fantasy fans visiting Tokyo.